Constructed [in 1859] by Francois, Joseph and Pierre Girard, Jr., sons of Pierre Girard, one of the colonists. This house faced on North Westmoreland Avenue near the intersection of Highway 80. It was built for and occupied by Alphonse Delord, a banker who came to the colony from Paris, France, with his wife, daughter, and son in the year of 1856. The house was built in 1859 for the widow of Alphonse Delord shortly after the colony had ceased to function as a Fourierist phalange, or self-contained, cooperative community, as its founders had intended. Madame Delord had invested heavily in the short-lived La Reunion Company, and when it dissolved, received forty acres of land as her share of the communal property. 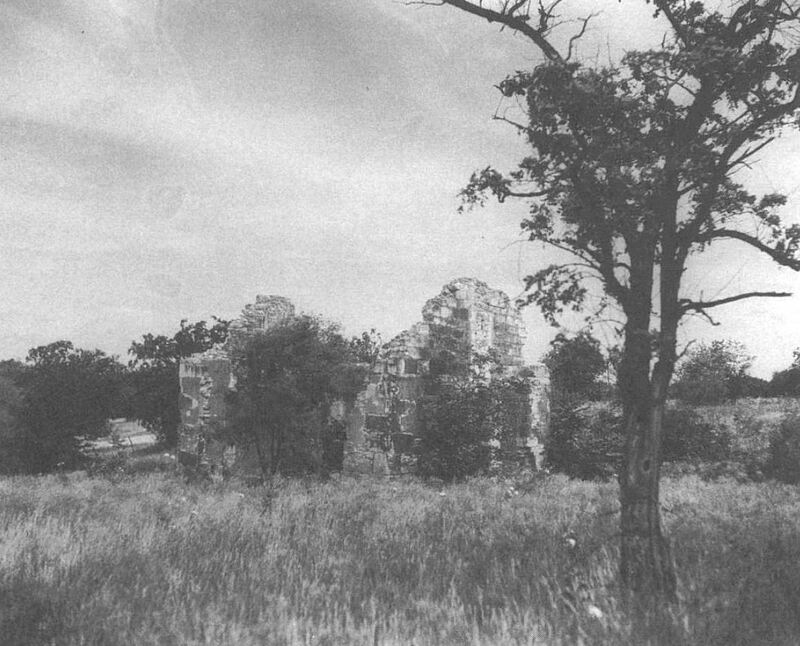 On this tract Pierre, Joseph, and Francois Girard, three brothers who had come to Texas with their father in 1856 and had taken up the occupation of architects and builders, constructed a house for her. She resided here until the outbreak of the Civil War in 1861 when she returned to France with their children. The La Reunion settlement was not far from this house. According to George Cretien, who was born in the La Reunion colony, “The village of the colonists was located about a mile northeast of the Delord place on the bluff that the cement company has mostly destroyed for the making of its product” (Dallas Morning News, Sept. 17, 1933). 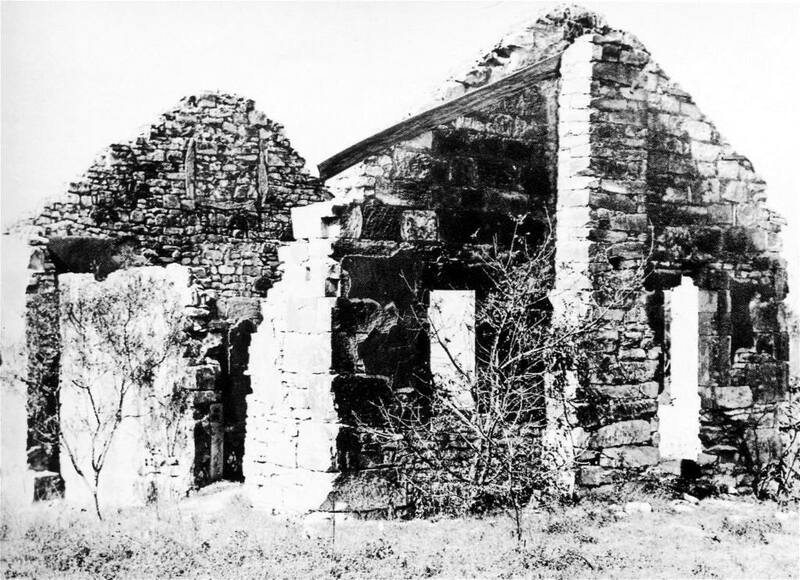 The most recent photo I found of the house still (sort of) standing was the one below (click to see a larger image), from a 1943 Dallas Morning News story about emergency war-time housing built by the Federal Public Housing Authority for North American Aviation workers (see “View War Housing Site,” DMN, Sept. 12, 1943). They had to build a LOT of housing (800 dwellings on the same tract the DeLord house was crumbling onto), and that quaint stone house built in the 1850s might have been bulldozed to make way for cheap housing which was meant to be temporary (which actually ended up not being temporary). Just a guess on my part that this was when the old stone house bit the dust. If it managed to survive the FPHA bulldozers, please let me know. It would have been nice to have preserved such an early relic of an important era in Dallas’ history — and there was a move to do that very thing. But, well, there you go. Top photo from a Texas Centennial brochure printed by the A. H. Belo Corporation in 1935; the brochure can be viewed on the Portal to Texas History site, here. Bottom photo appeared in The Dallas Journal on March 27, 1935; I found it on the Dallas History Facebook group. 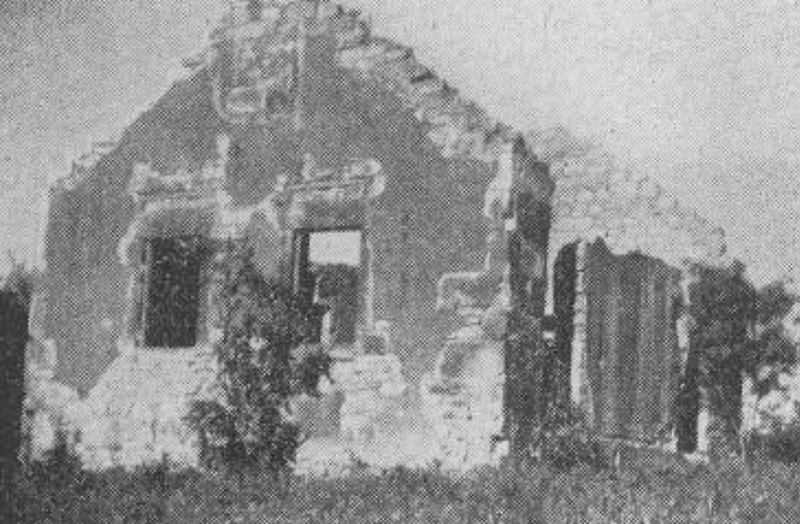 More on the Delord (or DeLord) house can be found in the informative (if short-lived) blog, La Reunion History, here. La Reunion page on Wikipedia is here. Previous Flashback Dallas posts on La Reunion (or, La Réunion for the sticklers) can be found here. Here’s a recent DMN story that mentions that photo of the Delord house and an attempt to find the remnants.